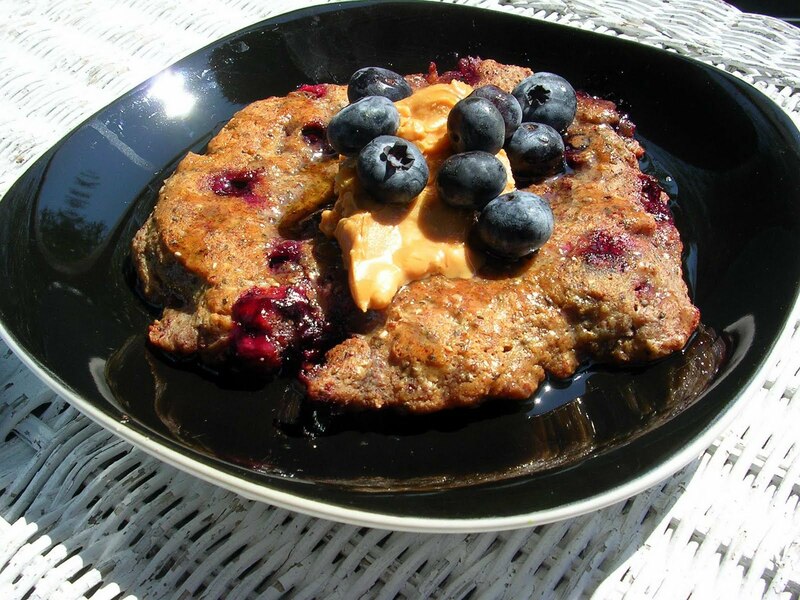 The USDA released the 2010 Dietary Guidelines on Monday. Now, I’m not one to blindly do what the government tells me…especially when it comes to nutrition. So I downloaded the dietary guidelines and took a look at them for myself. I was actually pleasantly surprised– In my opinion, the USDA didn’t do a great job few years ago with My Pyramid: their recommendations were vague and their suggestions for healthy living were not easily deciphered. My favorite part of My Pyramid is the “Whole Grains” that they recommend–slices of wheat bread (which is maybe made from a whole grain, but is still ground up/refined to be formed into bread…), a soft taco shell and elbow pasta. While this representation is much better than the original food pyramid, it’s hard to understand by just looking at it how much of each food type they are recommending that you eat. And what’s with that guy walking up the stairs? Oh, it’s the exercise component you say? Who’da thunk? 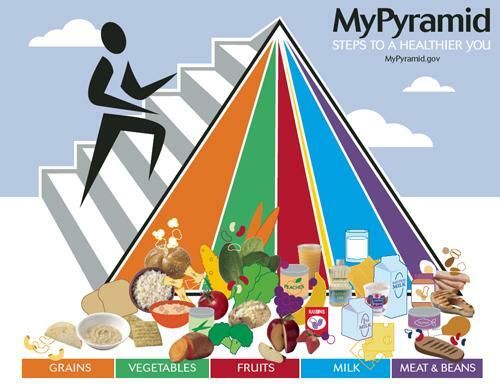 Although they are still promoting My Pyramid as the go-to visual representation of what Americans should be eating, there were a few points in the 2010 Dietary Guidelines that I thought indicated that “they” are on course to actually make Americans healthier. There are still some hilarious/convoluted recommendations, but I think these guidelines are more helpful than those in previous years. To keep calorie intake in check, the USDA recommends that you “weigh yourself and adjust what and how much you eat and/or your physical activity based on your weight change over time.” OH! So that’s how you do it! 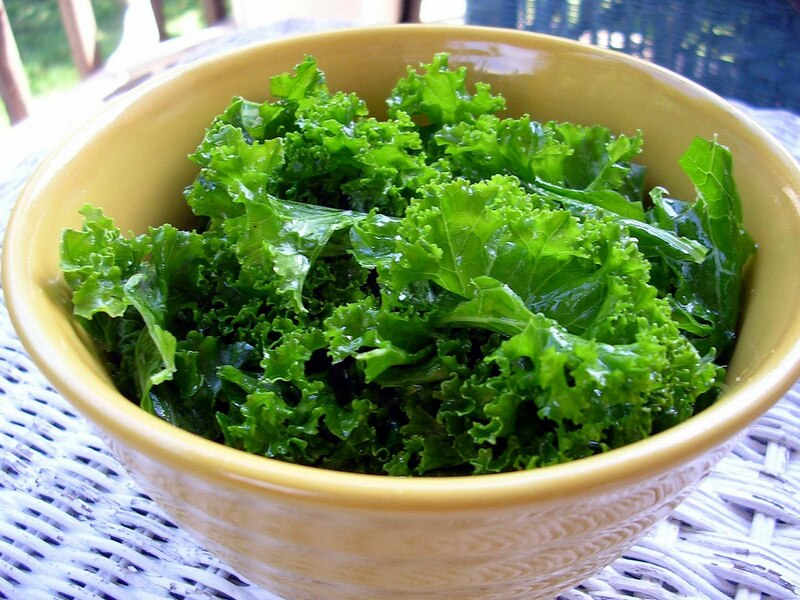 They make it sounds so easy– If it were that easy, no one would ever struggle to lose weight. In actuality, it’s a lot more than calories in, calories out, but this recommendation over simplifies and makes it seem like if we consume the calories that a math equation says we should, we will lose weight. To start introducing more “foods that are consumed below the recommended amount” into one’s diet, the USDA guidelines recommend “including vegetables in meals and in snacks.” I totally agree. I think that the recommendations surrounding increasing vegetable intake are great, including the elucidation that “fresh, frozen and canned vegetables all count.” Whatever way we can get more vegetables into American tummies is a good way– buying fresh produce can be pricey and inconvenient for some. It helps when the Higher-ups tell you that frozen and canned veggies still count. Fresh is the best, but whatever works for you is what you’re going to stick with. In terms of whole grains, we are told to “substitute whole-grain choices for refined grains,” but then told to eat 100% whole-grain bread and cereal. Isn’t a whole grain like a grain of brown rice? Or an oat? There is still some explaining that needs to be done around this issue: buying 100% whole grain bread is not the answer. Although they do warn us that foods labeled as “multi-grain” etc. may not contain any whole grains, and to replace refined grains with whole grains, which is a big step in the right direction. What do you think about the new USDA Dietary Guidelines? What would you change if you could?